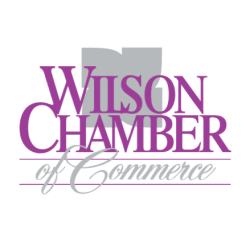 B & S Wholesale Tire Center | Tire Sales and Services - PublicLayout - Wilson Chamber of Commerce, NC ? Located at 225 Goldsboro St. South in Wilson, NC, B & S Wholesale Tire Center, Inc. services the automotive tire and wheel needs of those in Wilson, NC, Rocky Mount, NC, Goldsboro, NC, and surrounding areas. Through the years, our dedication to honesty and quality service has helped us maintain a loyal base of customers. Our experienced technicians are the pride of B & S Wholesale Tire Center, Inc. Check out a list of our products and automotive services online to see exactly what B & S Wholesale Tire Center, Inc. can offer you and your vehicle. B & S Wholesale Tire Center, Inc. is certified by the Specialty Equipment Market Association. We are experts in fixing balancing issues with wheels and tires. We have tires for everything. See us for wheel adapters and wheel drilling. In the spirit of helping you pinpoint the exact tire match before even setting foot in the door, we have introduced a Tire Size Finder tool on our website. This useful feature is located on the B & S Wholesale Tire Center, Inc. homepage and only needs the make, model, and year of your vehicle to display tires by style and size. Search through our selection of superior tire brands from manufacturers like MICHELIN®, BFGoodrich®, and Uniroyal®. If you are unable to locate the perfect tire match, come into our showroom in Wilson, NC and let our tire sales team take the lead on your search.